Looking for new flavours to excite the tastebuds? Come 15 to 21 Aug, head over to The Dining Room at Sheraton Towers for An Indonesian Gastronomic Experience. Taking classic Indonesian flavours to greater heights with French techniques and modern interpretations, Guest Chef John Sawarto presents us with his hearty Indonesian delights. When it comes to Indonesian cuisine, gado gado is a must-have. It is like an Indonesian version of a salad—naked ingredients and a winning peanut sauce. 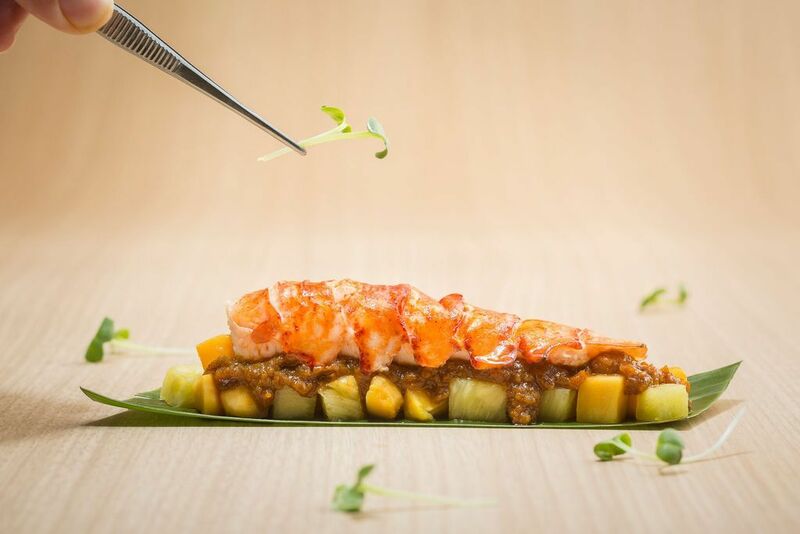 Thus, I had been looking forward to Chef John’s version of Grilled Lobster Gado Gado—grilled lobster on tropical fruit salsa, kaffir and kencur infused peanut dressing, micrograms and kalamansi vinaigrette. I wish I had more peanut dressing! Prepared with just salt and pepper and served with apple and starfruit slaw and rujak, the Seared Foie Gras was unique to the tastebuds. 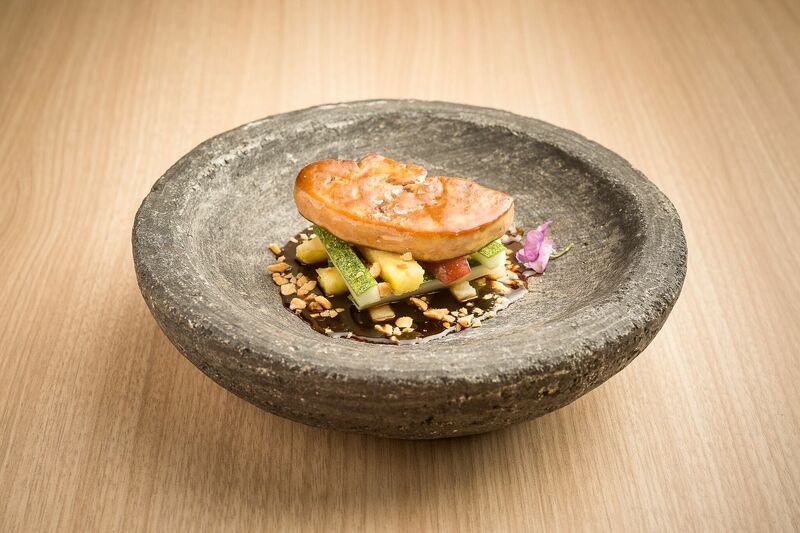 With kecap manis (love~) in the sauce, the foie gras has changed its nationality. My favourites would be a toss between Wagyu Beef Cheek Rendang and Crispy Spiced Duck Confit. Slow-braised in rendang spices and coconut cream for 6 hours, the Wagyu Beef Cheek Rendang is melt-in-the-mouth delicious. 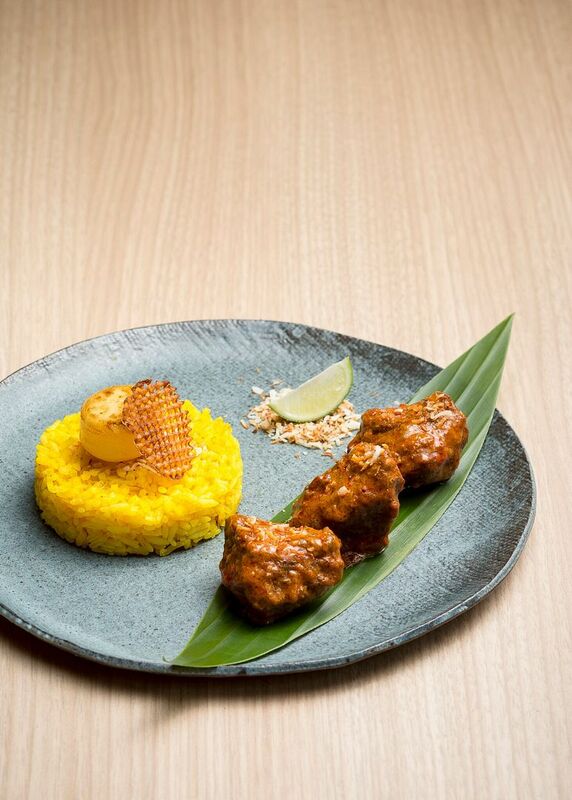 The rendang is accompanied with fragrant jasmine rice infused with saffron and lemongrass and vanilla poached petit brastagi potatoes. I could have the rendang spicier, but that is just my personal preference. 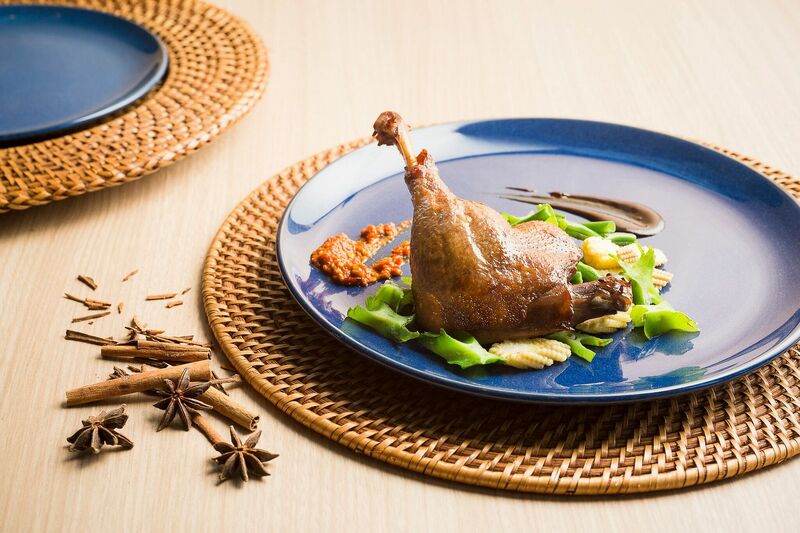 Crispy Spiced Duck Confit is Chef John’s take on Bali’s famous dirty duck diner’s crispy duck. Braised then pan-seared, the meat is tender and not dry. Drizzled in its natural reduction and puree of sambal terasi, this reminds me of a hearty Confit de Canard a la Asian. The sweet highlights include Homemade Chendol Panna Cotta and Banana Tempura. 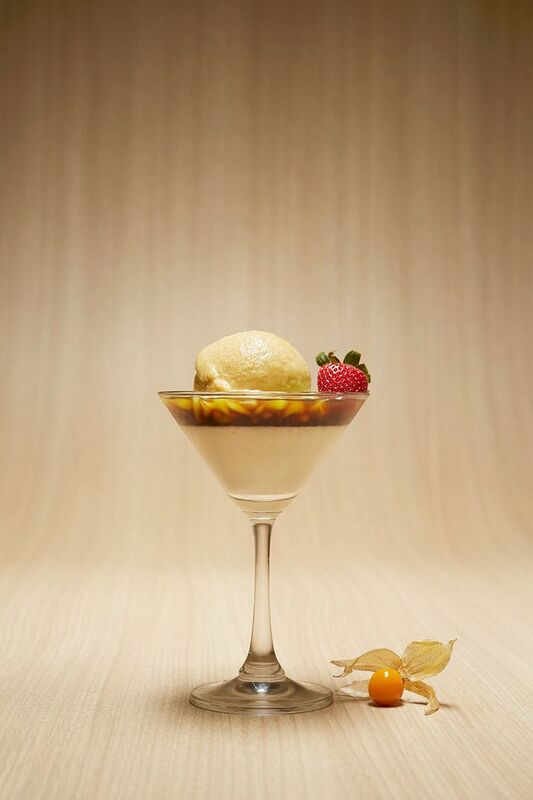 Lovers of Chendol will love Chef John’s Homemade Chendol Panna Cotta. Using Okinawa brown sugar, this custard dessert is refined and subtle in sweetness, yet bursting with distinct flavours of chendol. 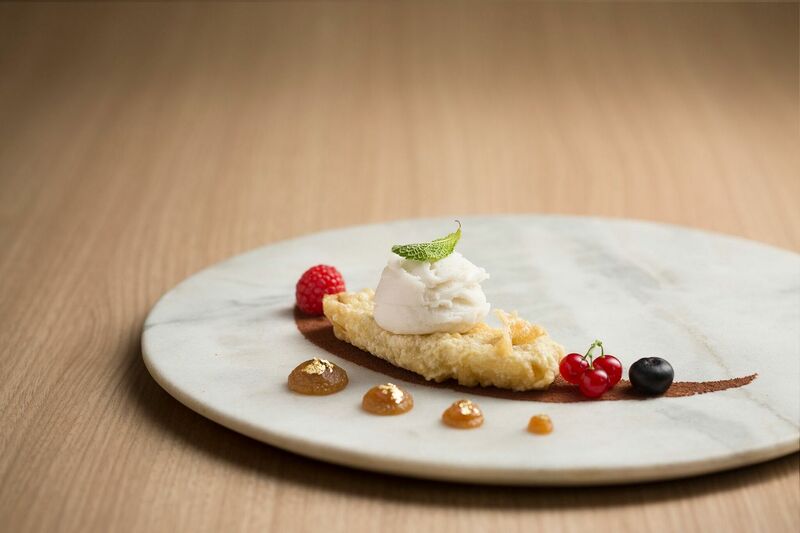 Served with torched ginger sorbet, this is a lovely interpretation of the traditional Italian dessert! Have the Banana Tempura if you miss your goreng pisang. A perfect crisp fritter of sweet banana, rich pandan homemade sri kaya, and tropical coconut ice-cream, each component is yummy on its own. Do not miss this opportunity for An Indonesian Gastronomic Experience! Enjoy a la carte creations from $10, set lunch menu from $48 or/and set dinner menu from $68.